San Francisco, California – Hyperwallet Systems Inc. (“Hyperwallet”), a global leader in the payments industry, today announced Michael Ting has joined the company as Senior Vice President, Digital Markets. In this role, Ting will work alongside Hyperwallet’s senior management team to develop commercial and strategic partnerships with emerging growth companies in the digital marketplace sector. 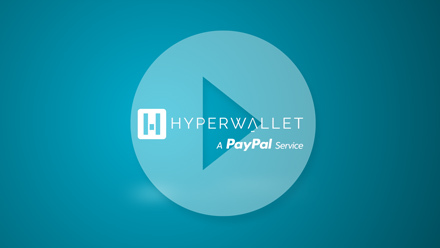 Ting will report to Peter Burridge, President & Chief Commercial Officer of Hyperwallet. Ting will bring more than two decades of payments products and financial services experience to the Hyperwallet team. As the former Head of Payment Services for oDesk (now Elance-oDesk), Ting has deep industry experience in global marketplaces, payments product management, operations, and business development. Prior to oDesk, Ting managed online payment products at Obopay, Inc., as well as serving in a variety of strategic partnership and operational roles for WR Hambrecht + Co., PayPal, and Barclays Global Investors. Ting will be based in San Francisco at Hyperwallet’s U.S. headquarters.